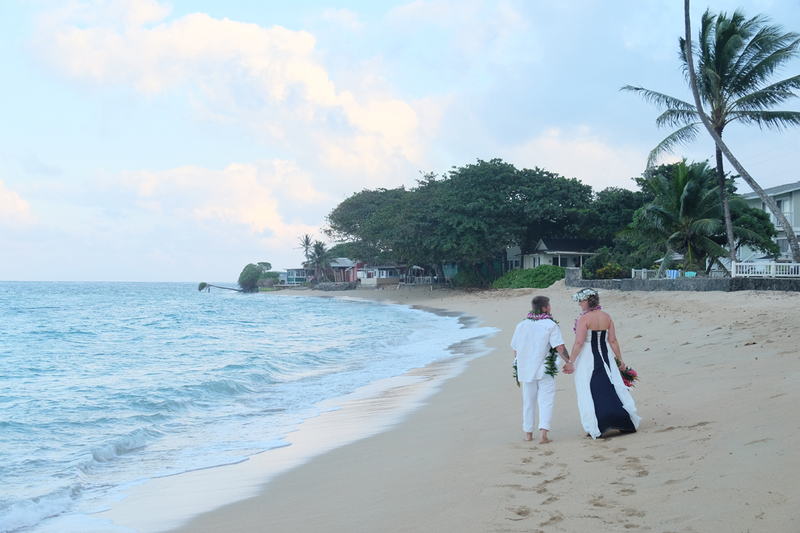 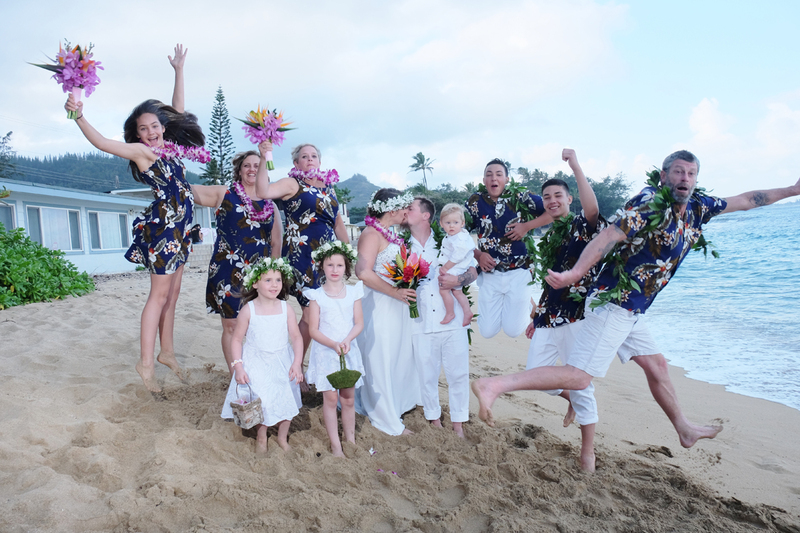 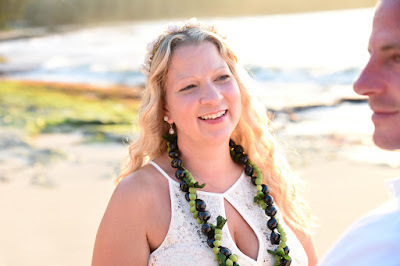 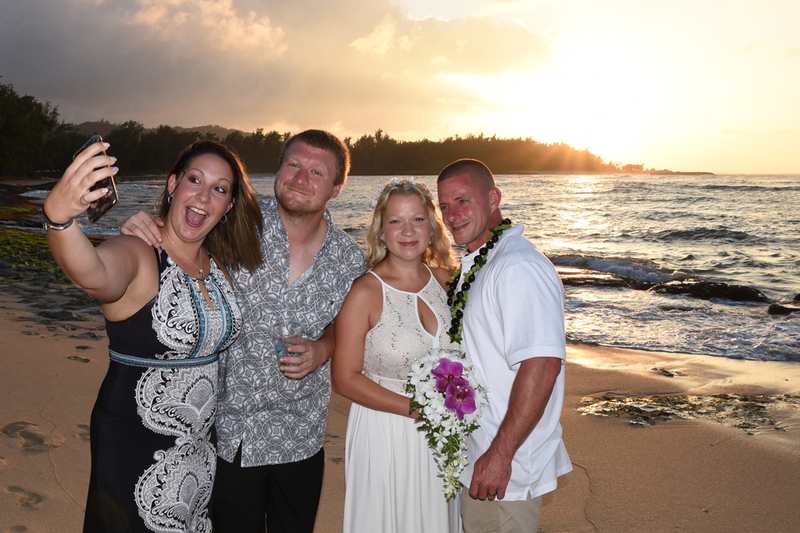 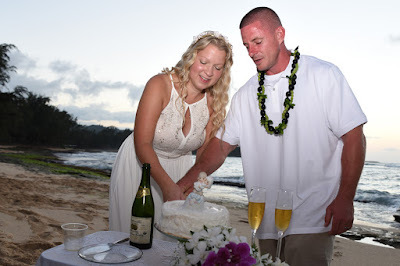 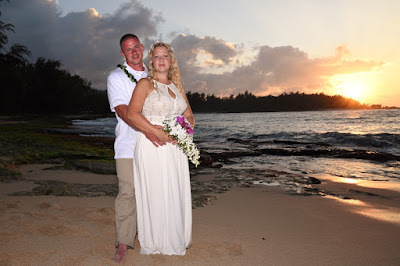 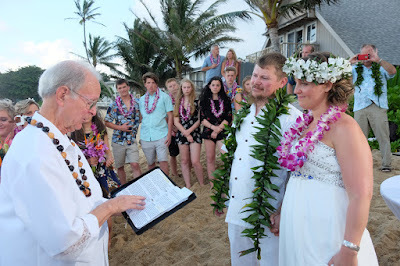 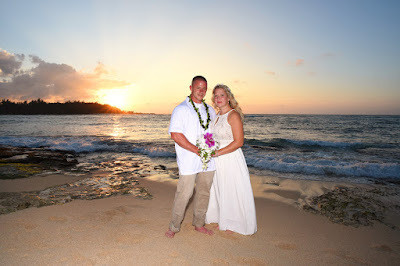 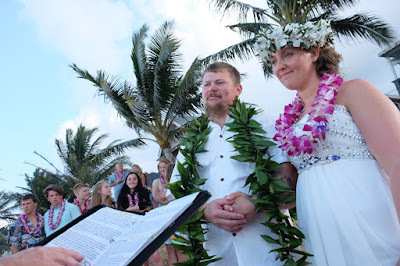 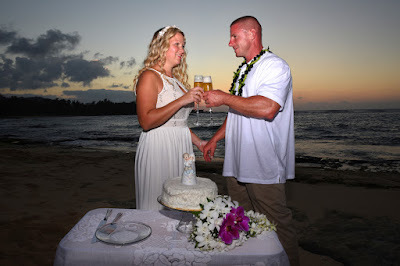 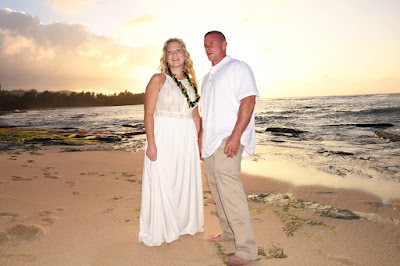 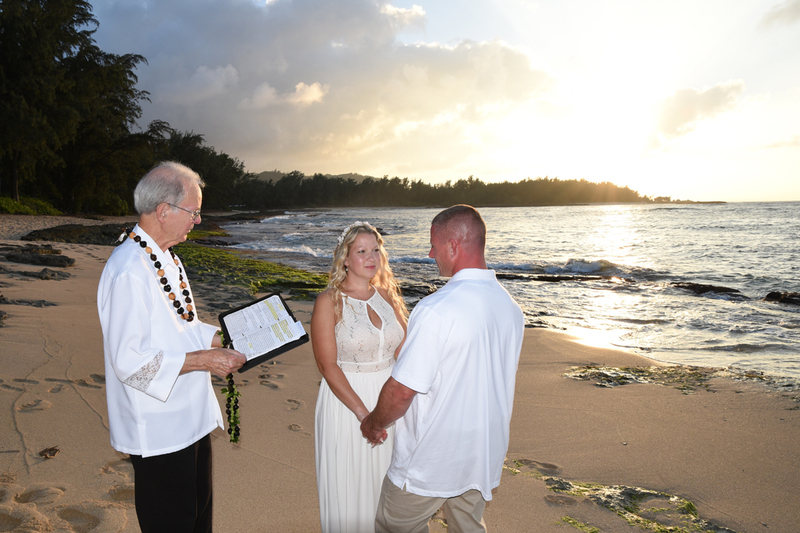 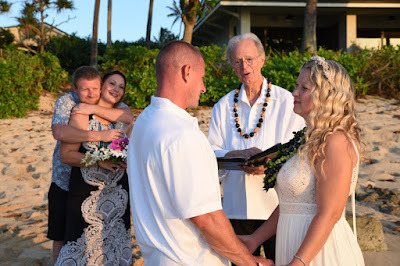 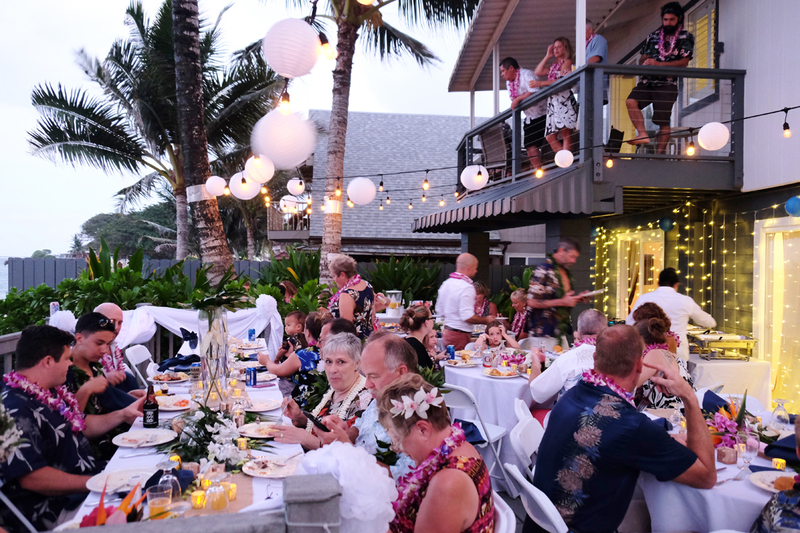 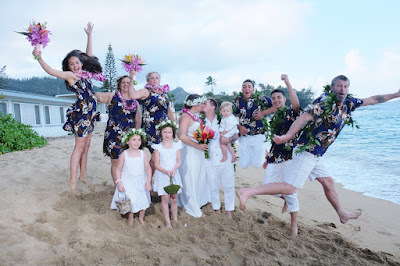 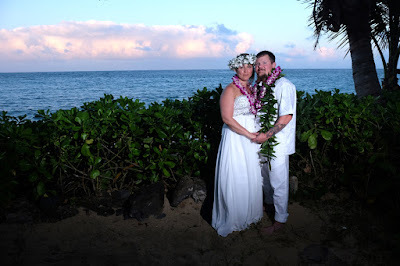 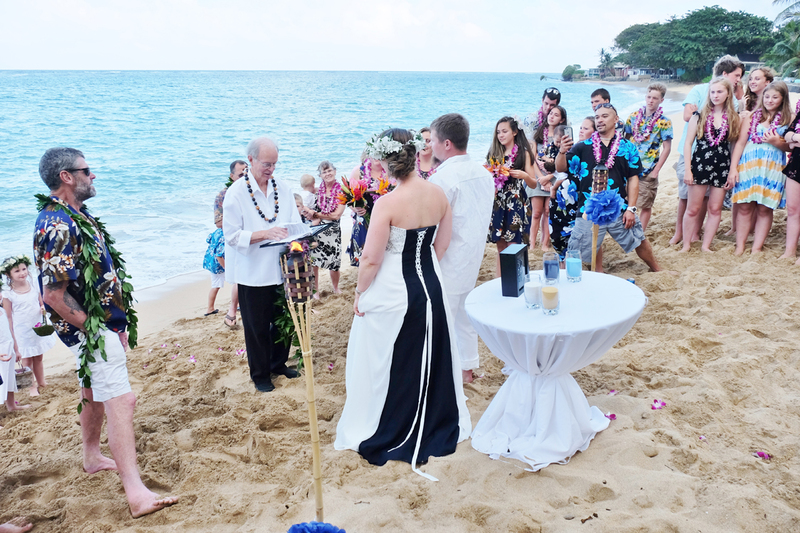 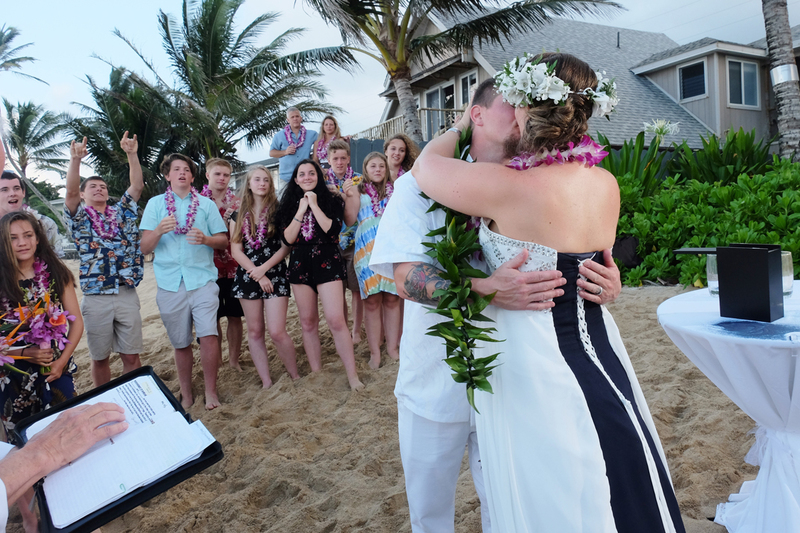 Rev Bob performs North Shore sunset wedding at Turtle Bay. 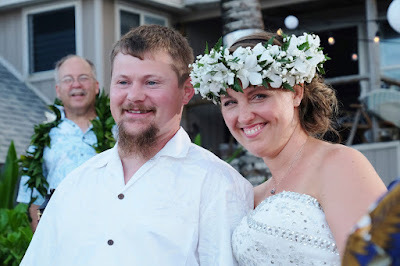 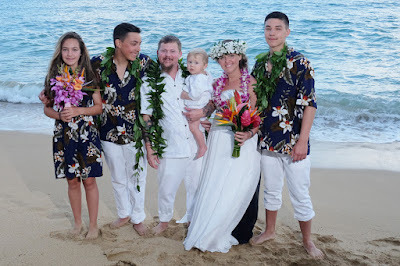 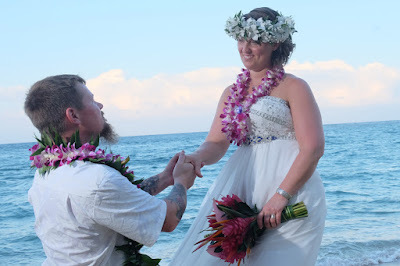 After Travis receives a lei from Jessica, he promptly gives it to her as his gift. 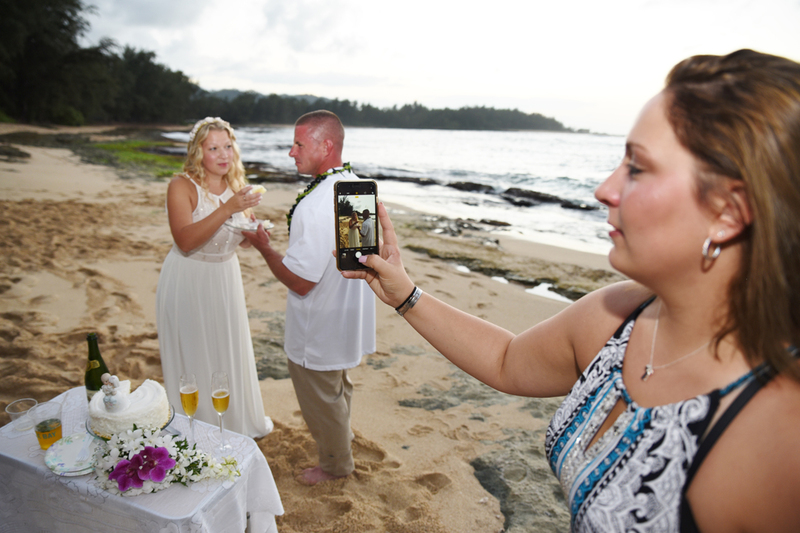 Don't want to be outdone. Fun wedding guests take a nice sunset selfie with the Bride and Groom. Have a big family and want to have your own private reception party? 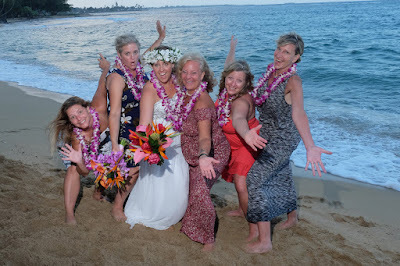 A North Shore vacation rental home may be a great option for you.